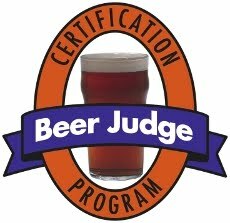 The Beer Judge Certification Program (BJCP) serves to "promote beer literacy and the appreciation of real beer, and to recognize beer tasting and evaluation skills". Their style guidelines for India Pale Ale (IPA) were written in 2008 and span English IPA, American IPA and Imperial IPA. To my mind, that doesn't sufficiently cover the variety that exists within the IPA catergory in 2011. Origin: US interpretation of classic English style. Aroma: Prominent aroma of citrusy, floral, resinous, piney, American hops. Possible malty sweetness in the background. No fermentation character. Appearance: Golden through amber to medium reddish copper. Often clear, often hazy through dry hopping. White to off-white persistent head. Flavour: Prominent citrusy, floral, resinous, piney, American hops. Moderate malt sweetness, some toasty and caramel flavours. Medium-dry to dry finish. No fermentation character. Prominent hop bitterness. Commercial Examples: Odell IPA, Russian River Blind Pig, Dogfish Head 60 Minute IPA. Origin: Up-scaled version of American IPA style. Aroma and Flavour: As for American IPA, with everything increased. Significantly sweeter, balanced by an equal increase in hop bitterness. Alcohol warmth sometimes evident but fermentation profile still clean. Appearance: As for American IPA, with a tendency to be slightly darker. Commercial Examples: Russian River Pliny The Elder, Stone Ruination IPA, Dogfish Head 90 Minute IPA. Origin: Up-scaled version of the Imperial IPA style. Aroma and Flavour: As for Imperial IPA, with everything increased. Huge sweetness balanced by massive bitterness. Huge hop aroma and flavour with strong malty, toffee and caramel backbone. Obvious alcohol warmth but clean fermentation profile. Appearance: As for Imperial IPA. Commercial Examples: Russian River Pliny The Younger, Dogfish Head 120 Minute IPA. Origin: Modification to American IPA style through the inclusion of darker malts. De-husked black malt often used to provide colour without flavour. Aroma: Prominent aroma of citrusy, floral, resinous, piney, American hops. Possible malty sweetness in the background. Possible dark malt character, giving notes of roastiness, liquorice, bitter chocolate and coffee. No fermentation character. Appearance: Opaque black. White to off-white persistent head. Flavour: Prominent citrusy, floral, resinous, piney, American hops. Moderate malt sweetness, some toasty and caramel flavours. Medium-dry to dry finish. No fermentation character. Prominent hop bitterness. Possible dark malt flavour giving notes of roastiness, liquorice, bitter chocolate and coffee. Commercial Examples: The Kernel Black IPA, 21st Amendment Back in Black, Windsor & Eton Conqueror. Aroma: Moderate/high hop aroma of floral, earthy, spicy, grassy English hops. A moderate caramel-like or toasty malt presence is common. Low to moderate fruitiness, either from yeast esters or hops, can be present. Appearance: Golden through amber to medium reddish copper. Often clear, can be hazy through dry hopping. White to off-white persistent head. Flavour: Moderate/high hop flavour of floral, earthy, spicy, grassy English hops. Moderate malt sweetness to support hop bitterness; toasty, biscuity, caramel flavours. Medium-dry to dry finish. Prominent hop bitterness. Some fruity ester character from fermentation. Commercial Examples: Meantime IPA, Worthington White Shield. Origin: A modern beer style that bears no resemblance to traditional English IPA. A lowest common denominator ale, brewed to appeal to as wide a range of people as possible. Linked to the IPA banner in name only. Aroma: Muted. Perhaps some caramel and toffee notes from crystal malt. Low to moderate fruity esters from the use of an English ale yeast. Appearance: Golden through amber to medium reddish copper. Always clear. White to off-white thin head. Perhaps a hint of grassy, spicy English hops. Flavour: Caramel and toffee notes from the use of crystal malt. Fruity esters. Medium-dry to dry finish. Watery, thin mouthfeel. Moderate hop bitterness. Perhaps a hint of grassy, spicy English hops. Commercial Examples: Greene King IPA. Origin: British interpretation of the American IPA style. Aroma, Appearance and Flavour: As for American IPA. Commercial Examples: The Kernel SCCANS, Marble Dobber, Magic Rock Cannonball, Brewdog Punk IPA. Origin: The product of British “session” drinking culture and the influence of American Craft Brewing. Beers heavily inspired by America and the generous use of American hops, scaled down to meet the session drinking habits of British drinkers. Appearance: Golden through to light amber to medium reddish copper. Often clear, often hazy through dry hopping. White to off-white persistent head. Flavour: Prominent citrusy, floral, resinous, piney, American hops balanced by an English pale malt backbone of biscuity sweetness. Moderate toasty, caramel flavours acceptable. Medium-dry to dry finish. No fermentation character. Balanced hop bitterness. Note: Use of hops from New Zealand, and therefore the associated flavour/aroma of NZ hops, is also acceptable (but fairly uncommon). Commercial Examples: Marble Pint, Darkstar Hophead, Oakham Citra, Oakham JHB, Redemption Trinity. Origin: Kiwi interpretation of classic English style. Aroma: Prominent aroma of tropical fruits, gooseberry, white grape, lychee and citrus fruits from New Zealand hop varieties. Possible malty sweetness in the background. No fermentation character. Flavour: Prominent flavour of tropical fruits, gooseberry, white grape, lychee and citrus fruits from New Zealand hop varieties. Medium-dry to dry finish. No fermentation character. Prominent hop bitterness. Commercial Examples: Brewdog Chaos Theory, The Kernel Nelson Sauvin IPA, Mikkeller Single Hop IPA Nelson Sauvin. * Martyn Cornell, August 4th 2011. See here. An excellent spread of the modern IPA spread. Though I (of course) will have to bicker a bit with you on some details. Also, big debate over the naming of Black IPA, with some favouring other names (principally Cascadian Dark Ale). But really this is minutia. Clearly the breadth of 'IPA' has widened and the BJCP needs to expand their sub-categories to encompass these changes. Commercial Examples: The Kernel SCCANS, Marble Dobber, Magic Rock Cannonball, Brewdog Punk IPA." SR: That's a typo on the ABV, it should match the American IPA. I'll update it, thanks! I think Dobber is a blend of NZ and American. No? You're right though, you could argue the use of NZ hops in that style. Punk for example uses NZ hops too. Ben: Great points about the mid-atlantic pale ale and British brewed IPA. Part of the motivation behind this post was around differentiating between those two and you could argue that latter should be covered by American IPA and the former should be with pale ales. I wouldn't really disagree with that, I just needed to include them here to show the differences between them. Pay the BJCP no attention whatsoever Mark. And Dobber is NZ hopped. I'm sure I've told you that before! Dom: We’ve talked about Pint and your love for blending New Zealand and US hops – I assumed that this was the case in Dobber. Is Dobber just all NZ varieties then? I know the BJCP guidelines are far from perfect. There are a few comments in response to the post you link to that talk about Michael Jackson and how his work takes a snapshot of beer and beer styles at the time of putting pen to paper. This post was really an attempt to do that for IPA in 2011, rather than a critique of the BJCP. Maybe it would’ve been better to write the definitions without any reference to the BJCP at all. When shopping around for a starting point though, there isn’t really much else on the shelf. I’m not saying I would ever brew anything at home to specifically fit the BJCP guidelines, but I have definitely benefited from having them in the library, even if they aren’t always correct. It's always important to remember that the BJCP guidelines are just that - guidelines, and for judging beer competitions at that (and even then, I've only ever heard of them being used for homebrew comps). It's *generally* possible to place your beers in one of the existing category (the Cascadian is the exception and would have to go into speciality class 23), and being a little outside of style figures doesn't always preclude you from doing well with that beer. The Modern English IPA should be dropped - there is already acknowledgement in the current guidelines that things like GK IPA are not IPA at all, but live inside of 8A (Ordinary Bitter). Mid Atlantic PA could also possibly sit in with category 8 (A or B), or even just expand 10A (American Pale Ales) slightly to take in the session strength ones. I'm unsure about the NZIPA category as there will be at some point similar tasting hops that don't come from NZ, but would otherwise fit perfectly. Other than that, one thing I think should be avoided is going towards having 130+ categories that they have at the World Beer Awards - that's having styles for style's sake! I think you're a little unfair to "modern English IPA"- Palmer's IPA is and always has been an excellent, if too little-known beer, in exactly that "really an ordinary bitter" style that two world wars and high taxes turned Victorian IPAs into in the UK. It's fair enough about the historical aspect of what happened to Victorian IPAs, and I don't doubt the quality (though the few examples we get in Oxford don't seem to be that great - I suspect the pubs not the brewer), but it is even marketed as "Best Bitter" by Palmers (with "Traditional IPA" as a sub-title). I can't see how you'd ever work out the distinction between "Ordinary/Best Bitters" in 8A/B and "English Modern IPAs" as a category alongside it when beers would happily slot into both sides. Graeme / MC: That’s interesting about the acknowledgment that beers like GK IPA aren’t really IPAs at all. I hadn’t noticed that. My definition is written with too negative a tone though, I think a style guideline should be descriptive and neutral – which mine clearly isn’t. Agree that if you make the style guidelines too granular, they become too difficult to manage at competition. At the same time, I find the National Guild of Wine and Beer Judges styles too broad and limited.